Applications are considered to be the lifeblood of any organization today, making connecting and integrating your unique blend of on-premises and cloud-native applications one of the most important tasks your IT team faces. Don’t let traditional API and microservices strategies slow you down. 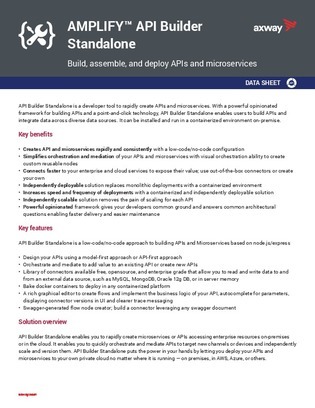 Access this whitepaper to learn about a low-code/no-code approach to building APIs and microservices, and create connections between your applications faster and easier than ever before.